As many of you might be aware that Team BankExamsToday is dedicatedly working on RBI Grade B course. We have started with Management part of Finance and Management paper. Today I am providing you with the report card of week 1. In this week, we completed 2 chapters with the help of 9 videos and 2 quizzes. Along with Management portion, we will make separate video lectures and notes specifically for RBI Grade B exam. From next month we will provide Monthly GK Digest, especially for RBI Grade B exam. 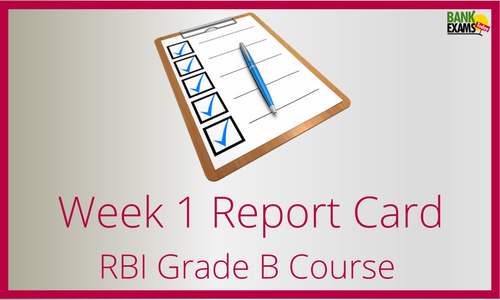 In this digest, we will summarise all the events important for RBI Grade B exam.